The FBI ended its investigation into the 2017 mass shooting in Las Vegas without concluding the gunman’s motive. Aaron Rouse, the special agent in charge of the FBI’s Las Vegas office, told the Associated Press the exact motive behind Stephen Paddock’s attack on Oct. 1, 2017 was still unknown after months of examination by agents and behavioral specialists. have sought fame through the attack, according to the A.P. Police characterized him as a loner. concert and inured almost 900. The attack ended when Paddock fatally shot himself. 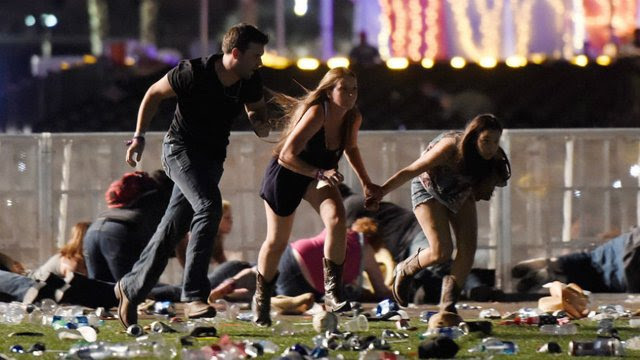 Paddock fired from his room on the 32nd floor of the Mandalay Bay Resort and Casino into a crowd of concert-goers, using an array of assault rifles, many of which were fitted with bump stocks. Authorities said the weapons were bought legally.